iPhone 3G boosts Apple's marketshare | BlackBerry Blast! According to PC Magazin, Apple's iPhone 3G has boosted Apple's smartphone marketshare within the US. Apple's marketshare rose from 11 to 17 percent, according to an NPD report released Monday. 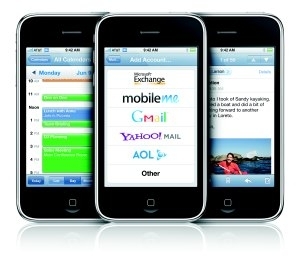 From June through August, the iPhone 3G outsold all other smartphones in the US. During that time period two RIM BlackBerrys (the Curve and the Pearl) ranked second and third. The Palm Centro came in fourth.